Ever wonder how to set up your local, office computer (Unix and Windows) with multiple development web sites for your many clients? Do you want to have your development Drupal site on your office computer, and let your remote client view it? Here is how. I’ll cover how to add your custom local Domain Names to /etc/hosts (Windows and Unix), how to add IP numbers for your Domain Names (needed for Apache httpd.conf) (Windows and Unix), configure Apache Virtual Hosts with IP numbers, and how to type http://mydev.domainname.com into your choice of Web Browser. And why this is all local on your computer and even on your LAN, but not going out to the public, unless you create gateway router firewall rules to do so. DDNS, Dynamic DNS for DSL and dial up dynamic IP number will be briefly discussed. Webhosting customers from an office computer will be discussed. A quick overview of Verisign’s Global and Host Registry and DNS root servers will complete the picture, as these services are used by all web hosting firms. 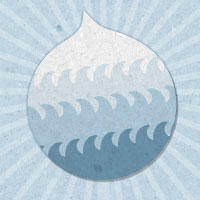 Drupal’s Multisite is an alternative solution, as is installing Drupal into a subfolder, in order to support different clients on a single machine. These methods will be briefly reviewed, and contrasted with a IP/Domain name solution. The primary difference is remote access methods. Multisite/subfolder methods will not be detailed, just overviewed.